I recently saw this image on Facebook and fell in love. Isn’t it beautiful? 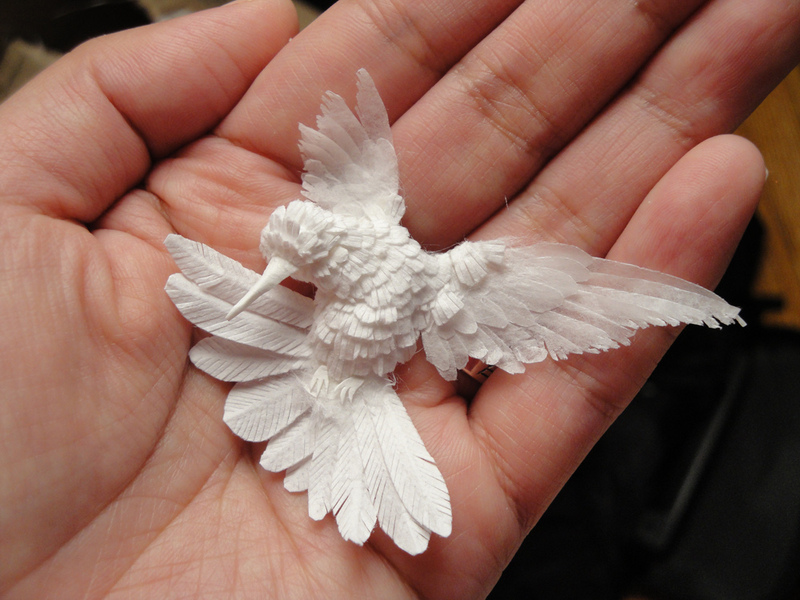 It’s a tiny sculpture by Cheong-ah Hwang, a self-taught Korean artist who’s passionate about paper. It took about eight hours to create. 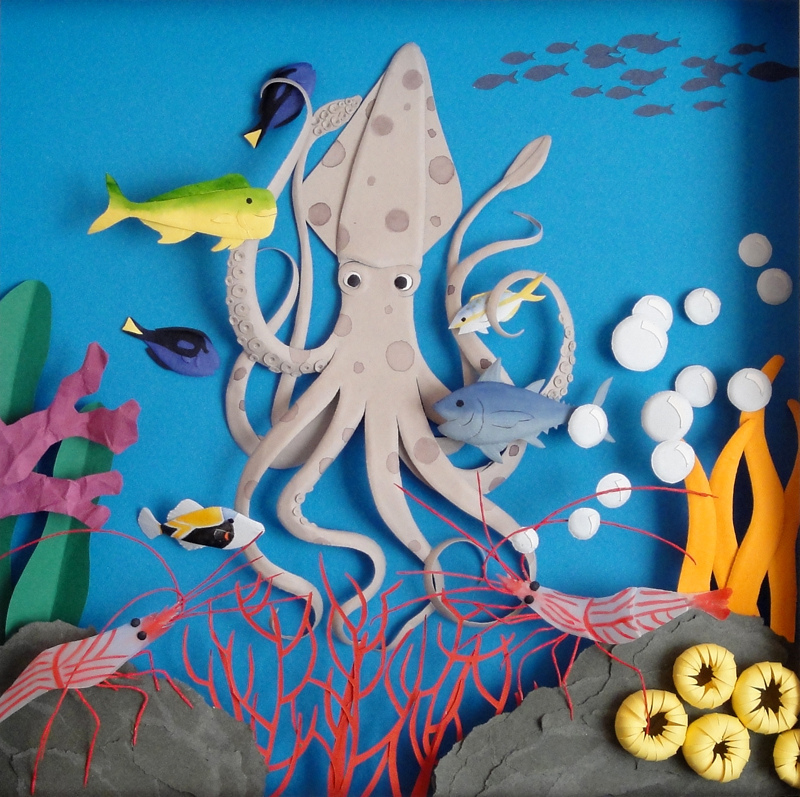 I emailed Cheong-ah and she sent me links to her website and Flickr page, where I spent a long time gazing at the intricate little worlds she cuts and folds out of paper. I thought you might enjoy, too (click to enlarge images). 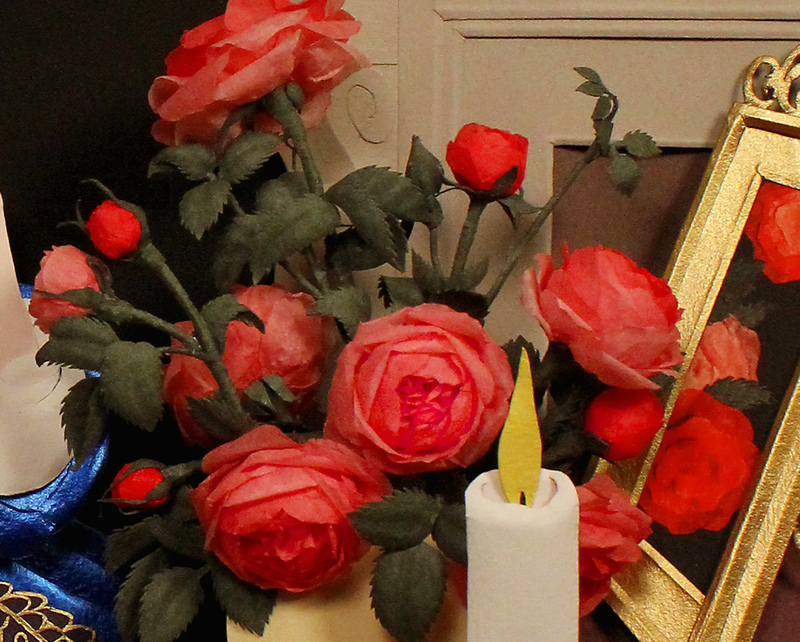 Beauty and the Beast Detail – Roses. The roses are made of tissue paper that she colored with watercolors. 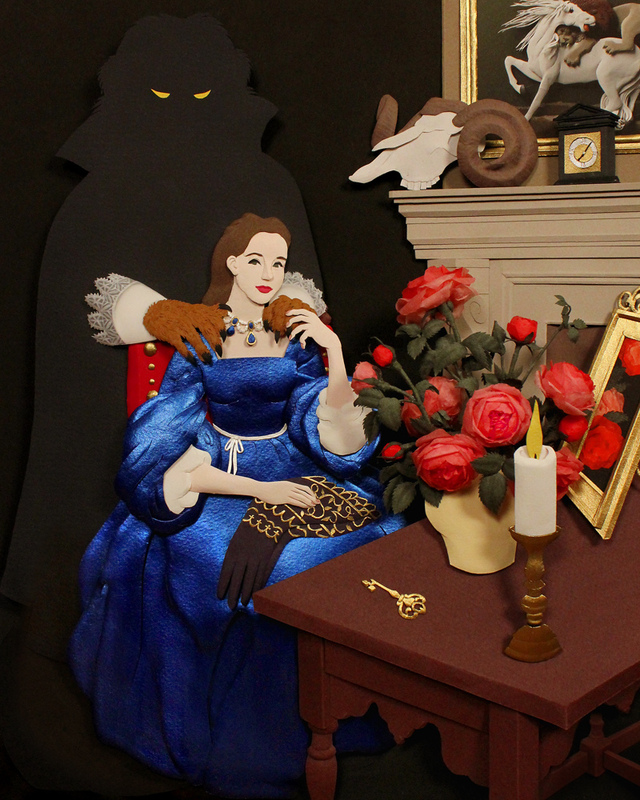 The reflection in the mirror is a photograph of simpler roses, cut out and pasted to the back of the picture frame. 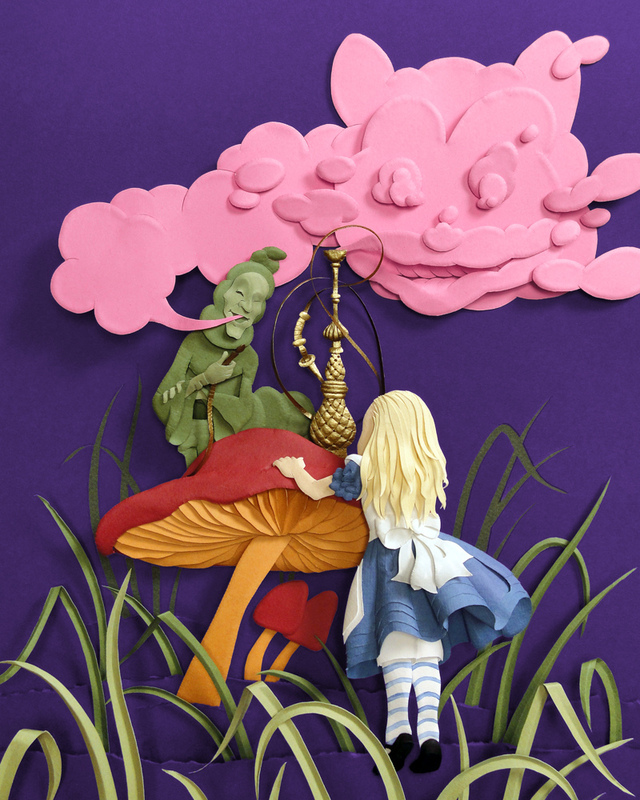 Through the Looking Glass was made from two illustrations by Sir. 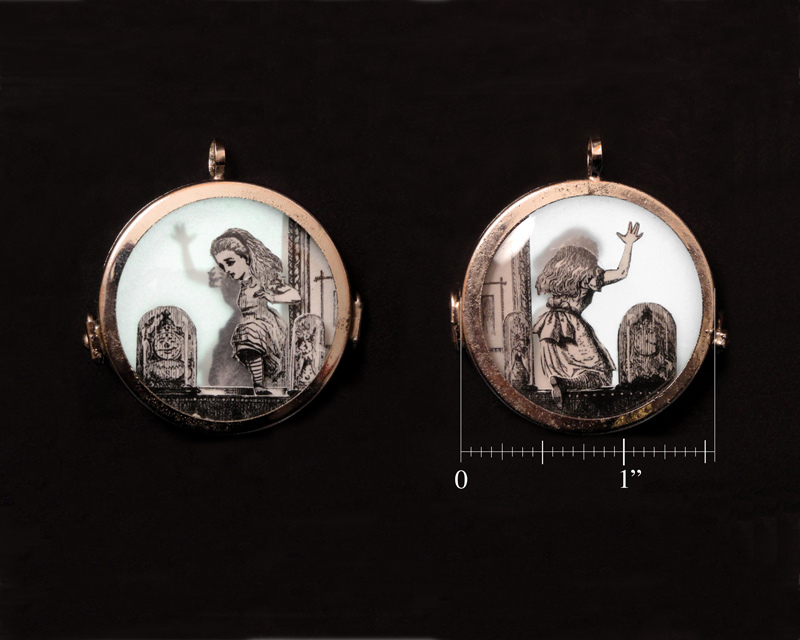 John Tenniel, each visible through one side of a glass pendant. I love how it looks like Alice is actually stepping through the glass. 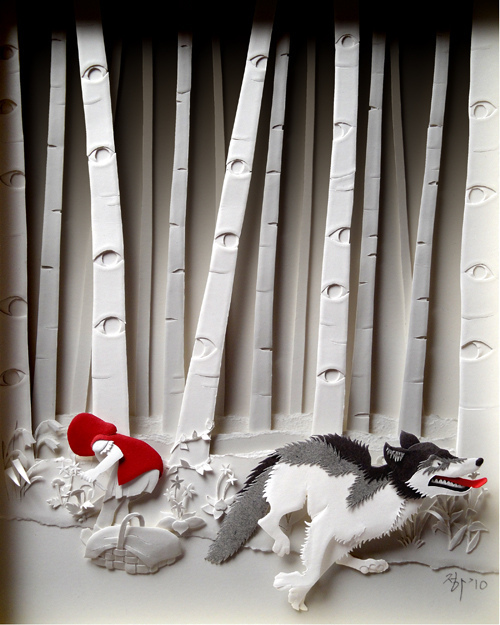 Cheong-ah was successfully funded on Kickstarter to make prints of this Little Red Riding Hood illustration. 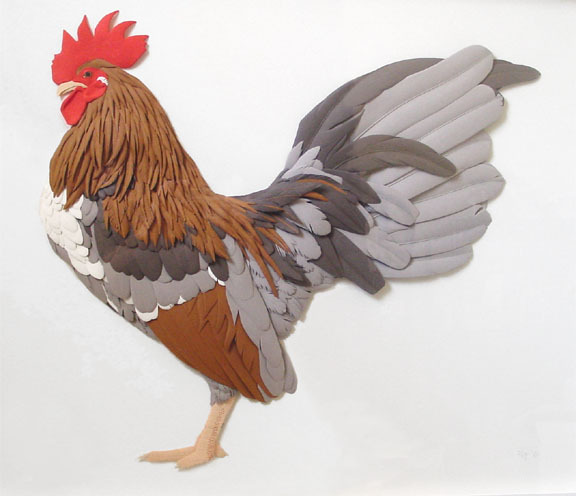 If sales are good, she hopes to offer prints of more sculptures, as a way to reach a larger audience of people who might not be able to afford originals ($100-$300 framed). Her work can be purchased from her Etsy store, although Cheong-ah said it’s temporarily closed because she doesn’t have time to run it but plans to re-open soon. 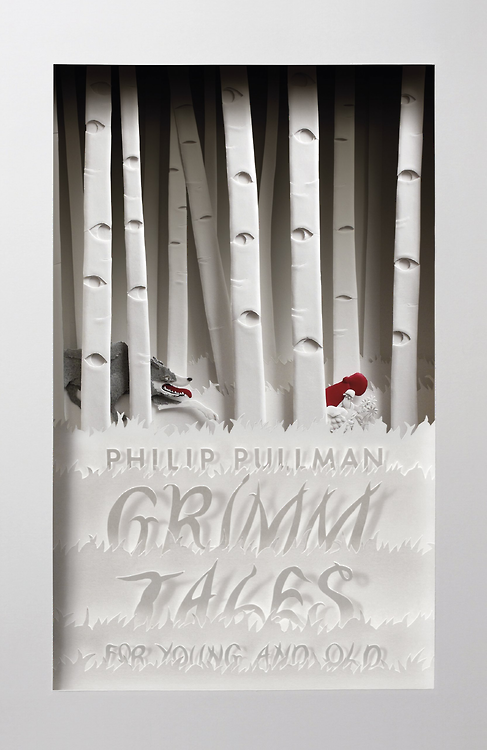 She told me that she also made the cover image for the recently-published Grimm Tales: For Young and Old, by Phillip Pullman (who happens to be the author of one of Isabella’s and my all-time favorite kids’ books, The Scarecrow and his Servant). Check out more of Cheong-ah’s beautiful work on her Flickr page, including demonstrations of how some of these pieces were made. And you can see even more when the how-to book that she just finished writing will be released (UK first in May, 2013). Wow. Just wow. STUNNING! Thank you so much for sharing! Glad you enjoyed, Emily! You should keep Pullman’s books in mind for when Miss C is older. Isabella really enjoyed, and so did I! That was my thought exactly. I kind of want to get some prints and frame them for her room. I’m amazed! Those are fabulous scenes! Yes, I would love to buy a print of the very first image. I asked her to make prints of it…. maybe she will! Nice to see you here, and thank you for the comment. That is unbelievable. So beautiful! I think so too! I would love to try this kind of art sometime, but I’m afraid it takes a great deal of passion in order to invest that kind of time and patience. Lovely, though. Thanks for your comment! Oh, glad to share, Stacie, I’m glad you enjoyed! Thanks for stopping by, and I hope CO is getting some nice rain today like we are! Off to check out her stuff. Good stuff! I like the giant nursery pop-ups. Nice to see you here… missed you on Friday! Wait – what did I miss? I love seeing you pop up in my email with a new post – one of my favorite bloggers. Yeah, I think they are a little bit 3-D. or at least they have a profile. Happy to see you soon! Hi Manoj, nice to see you here! Yes, I can’t stop looking at that image. I’m assuming this hummingbird was meant to be part of a bigger picture, like I saw on her Flickr page, but I like it in her hand. It becomes a different thing altogether, being held like that. Thanks for stopping by! Super cool. Love that squid. Hey, thanks Mike! Glad you enjoyed, nice to see you here…. tried to Like your last Fall poem post but the blockers at work were not in my favor that day! So nice to meet you, Androgoth. Thanks for stopping by! 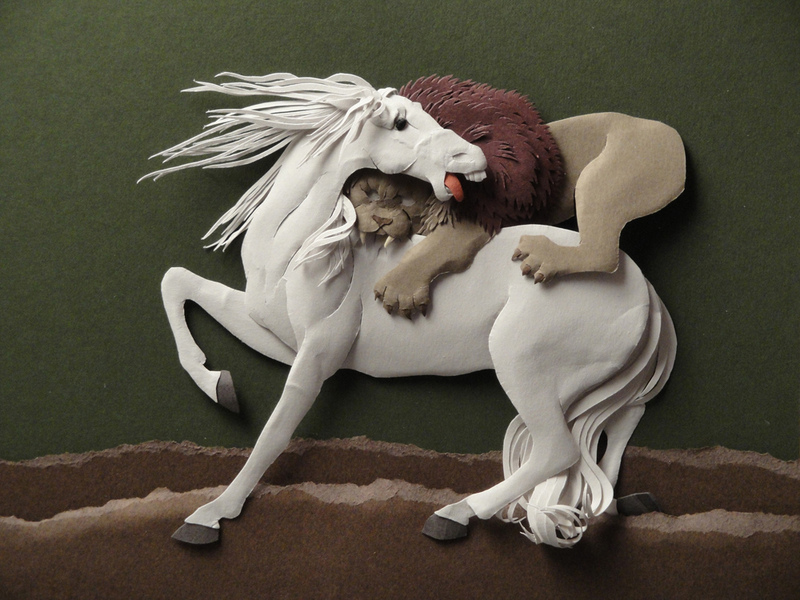 Yeah, I have a real fondness for paper art… maybe it’s just my dream because it’s so much cleaner (and lighter) than working with clay. Guap promotes a great community, no? I’ll go check out what you have to say now…. Yes, if I could make a hummingbird like that, I certainly would — gorgeous!